For New Inspiration and Excitement! Last Weeklong sold out in advance … don’t miss out! Limited Places – Reserve Early!!! & a lecture-presentation by Shira! ***Certificate of Seminar Completion*** included! Morocco will teach a beautiful, slow Oriental choreography to “Saddakt Khalas” by Saber Rebai, then Q & A re Morocco’s 5-star reference book, “You Asked Aunt Rocky”. Get your own autographed copy, followed by a participant’s performance – all at Husa Zahir. Morocco will teach a joyful, varied upbeat Oriental choreography to “Basboussa” by Bassem Yazbek on Saturday (4 hrs) and a lovely, romantic choreography to “Khalik Fakirny” by Amr Diab on Sunday. Morocco will teach a seminar in Clinton, Maryland – more details TBA. Morocco will teach a seminar in Vancouver, CA. More details TBA – contact Christine for questions and further details. Where does this dance come from? How long has it been around? Who are the main pioneers that helped shape this beautiful art form? Dance legend Morocco answers these questions plus a lot more. Cost: $275 early bird by February 14th, $375 after. 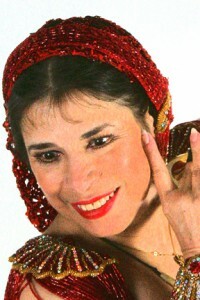 What: Deepen your practice and understanding of bellydance with this 17 hr training. This course is ideal for serious students, current and aspiring teachers. Participants who pass the written and practical exam will be awarded a Bellyqueen Teacher Training certificate. The Bellyqueen 2014 Teacher Training will be conducted by Bellyqueen director, Kaeshi Chai, anatomy expert, Lissa Michalak and dance legend, Morocco. 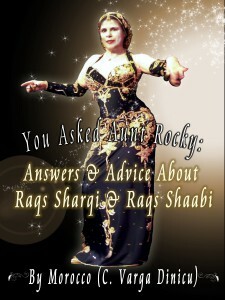 “Ask Aunt Rocky” by Morocco. Bellyqueen Teacher Training students get $10 discount off her $45 book. 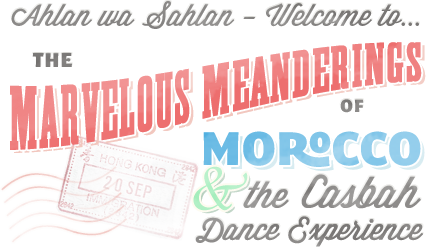 Please pay $35 plus $7 (shipping and Paypal fees) to morocco@casbahdance.org. Send her your address and who you want the name you want the book dedicated to.